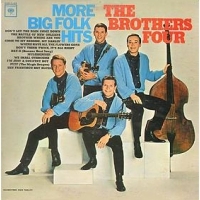 You can find much more information about the Brothers Four. Written in Japanese. TakBon is ..... Me! Folk style live music restrant in Shinjuku, Tokyo. Finest professional music shop. Woodman stores lots of vintage, used and new acoustic string instruments such as guitar, banjo, mandolin, dobro et.al. And has fully knowledge and experiment of instruments and repair for musician. I got my D-18 and O-18T from Woodman. Great!